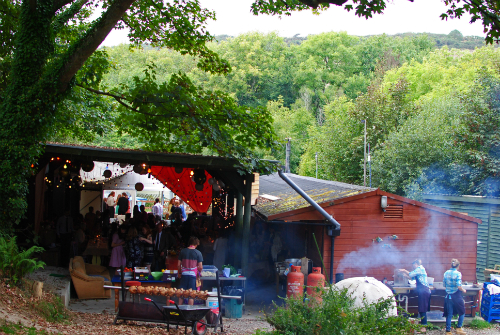 It's been a spectacularly busy time, including a wedding in Cornwall (check out the row of chickens on the spit roast). How could twelve years of solitary confinement be joyful? If Jesus turned up. Simon Guillebaud relates how this happened to a former Prime Minister of Kenya. Tim Challies credits the app PrayerMate with revitalising his prayer life. And/Or for £1.12, you could read Michael Reeves' short and helpful book, Enjoying Your Prayer Life. But beware too much technology: Nick Bilton reports on how Steve Jobs was a low-tech parent, as are many other in the industry. Has the Scottish Referendum changed politics? Armando Iannucci hopes so.